make sustainable transport choices which are better for our bodies, our communities and our planet. Want to lug shopping, kids, plants, gardening implements, furniture, recycling or just about anything else the zero-carbon way? 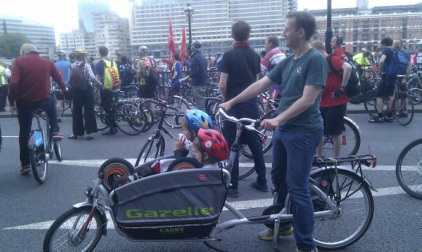 We have two Gazelle Cabby Cargo Bikes free to use to all! They'll carry up to 75kg of cargo or two kids up to age seven. Available to try at most Keep Palace Pedalling events, email us at contact@cptt-transport.org.uk if you'd like to borrow one. 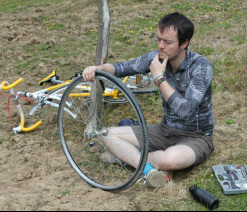 Got a bike in need of a little TLC? Want to learn how to carry out basic maintenance tasks for yourself? Or perhaps you're a bit of an expert who can help others restore their trusty steed in exchange for great coffee and good karma? 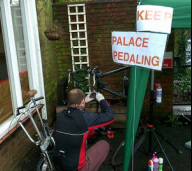 Come along to our Keep Palace Pedalling stall at the Food Market and get fixing. Watch the calendar for upcoming events or contact us via the CPTT Transport Facebook Page if you'd like us to arrange another event, or want to get involved. 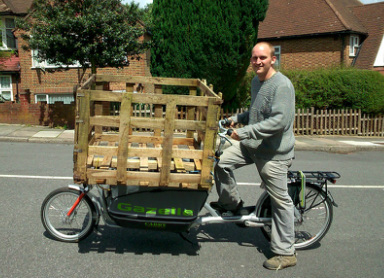 We'll often have cargo and electric-assisted bikes at the stall for tryouts too. Street play events are a great way for kids and communities to experience people-friendly streets one Sunday a month. 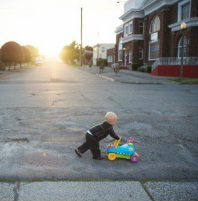 We're pioneering Play Streets in Croydon borough in 2014. Our inaugural event was a brainstorm held at the AGM in 2013. People were invited to submit ideas on how to make travel in and around Crystal Palace sustainable, healthy and enjoyable. Here is what they came up with. See anything that takes your fancy? Get in touch and help make it happen! Or perhaps you've got an idea of your own? Maybe we can help it become a reality. Drop us a line or come along to one of our Open Meetings to discuss it. If you'd like to get involved, or are thinking about switching to sustainable travel and would like to hear more about the pros and cons, come along to one of our Open Meetings (6:30pm, second Wednesday of each month at the Grape & Grain) see calendar, join our mailing list, get in touch via our facebook page or email us at contact@cptt-transport.org.uk .